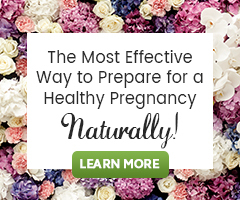 There are simple, inexpensive ways to naturally boost energy levels when trying to conceive and they each happen to optimize fertility health. Let me share them with you! This video was shared live. Download the Instagram App to watch our live broadcasts! 2. Try Fertility Smoothies. Fertility Smoothies are a simple, easy, nutrient-packed way to support fertility health and use fertility superfoods like the herb Maca. Maca (Lepidium meyenii) provides the body with a natural energy surge as a result of the vitamins, minerals and phytonutrients (some of which include carbohydrates, proteins and amino-acids) that it naturally contains. Consider our 10-Day Fertility Smoothie Challenge. 3. Stay hydrated! Energy levels, mood, ability to think clearly and digestion can all be impacted by mild dehydration. Aim to drink eight or more eight-ounce glasses of water a day. Squeeze in fresh lemon juice too. 4. Exercise! Exercise is critical for overall health, but also fertility health. It is important for supporting healthy circulation to the reproductive organs, detoxification and elimination of excess hormones and promotes better sleep. Exercise also causes the body to release endorphins in the brain to increase mood and help you feel better, and boost insulin to regulate energy. Be sure to exercise at least 5 days a week for 30 minutes and if you can, do so in nature. 6. Get sleep and sleep well. It’s simply a must! I recently read one practitioner’s idea that it is perfectly okay to sleep for 3-4 hours, wake for one or so and then fall back to sleep for 3-4 more hours. Okay, so I prefer uninterrupted sleep too, but truthfully that’s not my reality… For more on sleep patterns and some tips, please visit our guide Can Disrupted Sleep Patterns Cause Hormonal Imbalance?. 7. Try adaptogen herbs. Adaptogen herbs that meet the body’s needs where they are at, are often nutritious and are balancing to the entire body, they also help relieve stress. Learn more about herbs like Ashwagandha (Withania somnifera), Schisandra (Schisandra chinensis) and Maca (Lepidium meyenii). Transition to balanced Pregnancy Smoothies with Spirulina. Be sure your exercise is pregnancy approved – prenatal yoga, a daily walk, swimming, leisurely bike riding or anything your doctor approves of for you. Take your whole food prenatal multivitamin and quality omega-3 supplement. Consider only herbs safe for use in pregnancy with the guidance of your midwife, herbalist or healthcare providcer. I am a personal fan of Herbalist Dalene Barton-Schuster’s The Three P’s infusion (for preconception, pregnancy, postpartum). The herbs in this infusion are nutrient packed, provide plant-sourced iron and are soothing to the digestive system. Learn about pure, powdered, organic spirulina – spirulina is a plant source of protein and is very high in a variety of vitamins and minerals (recall what I shared about protein earlier). Most important in pregnancy, know that it is perfectly okay and normal for energy levels to wax and wane. Energy levels will really shift especially early on… you simply will feel tired. Later in pregnancy you’ll most likely feel energized and ready to “nest” and get ready for baby’s arrival. This is all normal! I hope this video was helpful and if you do something that really helps your energy levels, feel free to comment below!